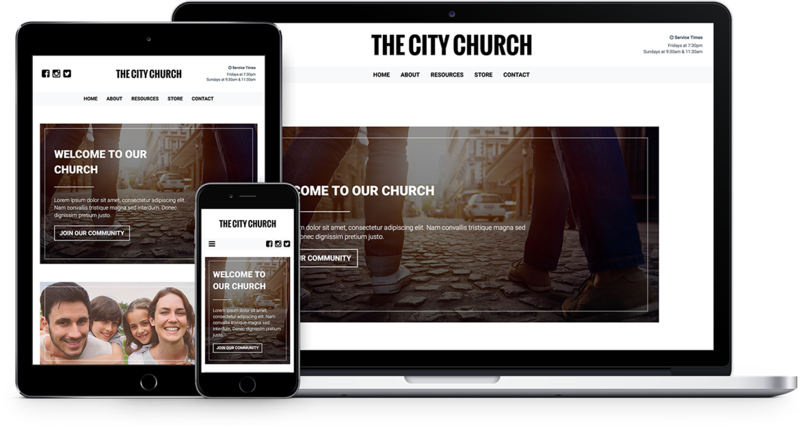 Finally, a website content management system that is crafted specifically to serve your Church or Ministry in a way that will be simple and fun. Created by our award-winning website designers. Each element is carefully crafted, pixel by pixel. Not only to look gorgeous, but most importantly, to produce results for your church or ministry outreach efforts. ChristianCMS is powered by the top content management system (CMS) in the world, WordPress. Over 60 million people have chosen WordPress to power the place on the web they call home. Don't be trapped in a limited and propriety CMS again! It's important that you reach your audience, no matter how they find you. Our responsive, mobile first, website designs display and work perfectly on almost all devices. Making it easy for your viewers to find the information they need, wherever they are. 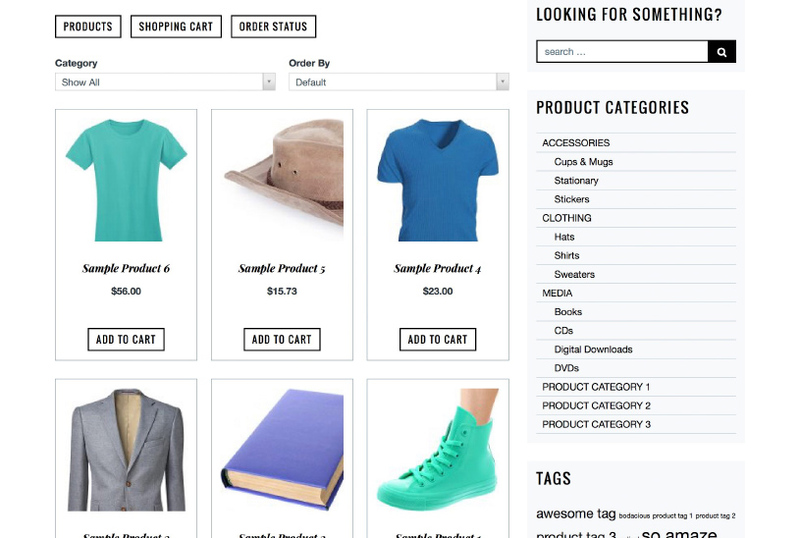 It’s never been easier to create and manage a beautiful, full featured online store. ChristianCMS has everything you need to start selling online. Create your online store and start selling today. We make the online giving experience seamless and easy to set up. From every day giving, to crowd funding, ChristianCMS meets all of your church and ministry donation needs. You serve passionately and tirelessly to share the Word of Christ. Your website should help amplify your online outreach. Create a digital hub for all your online content and share your message on all social platforms like Facebook and YouTube. Your message, delivered. Bring people together through live experiences. ChristianCMS makes it easy for church to sell tickets and manage registrations. Easily setup, promote, and manage every detail of your next church event. Something special about community and the importance of keeping people connected. List all your ministries on your website so visitors can quickly find and connect with you. Create individual ministry pages with media, forms, event integration, and more, allowing unlimited customization of the content, message and outreach tools for each ministry. The heart of ministry work is sharing the Word of Christ and doing outreach work. Collect donations or crowdfunding and kickstart your ministry projects. Whether through everyday giving, a donation drive or crowdfunding campaign, ChristianCMS makes it easy to raise funds for your church activities. Setup recurring tithe, crowdfunded projects, or take donations as they come in. Services like Kickstarter and Indiegogo take as much as 11% for administration and processing fees, compared to zero with ChristianCMS. Lose the outrageous fees, and put the those funds directly into your church. Take a one-time donation for your ministry projects or continuous tithe for your church. Create a campaign with a start and end date with a specific goal and wait to take payment until the project is funded, just like Kickstarter or Indiegogo without the fees. Set support levels and reward donors with stickers, t-shirts, downloadable sermons, or more depending on how much they give. Use PayPal integration for convenience and simplify the donation process. Create campaigns for specific needs, ministries, and projects and watch the progress bar climb. Fund goals or projects for specific ministries or integrate with sermons for weekly online offerings. Create, share and manage your next fundraiser, service times, bible study, concert or rally on your ChristianCMS website. From RSVPs and ticket sales to guest lists and social promotion, start scheduling today. Show a full 30 day calendar view on a detailed events page or site wide sidebar widget for all your special events, service times, bible studies, and more. Build your event mailing list and make it easy for users to reserve their space with a simple RSVP. Paid attendance or free events, efficiently plan your next church event. You and your attendee will receive email confirmation form an RSVP event. Process online payment with PayPal or allow manual payments at the door for fundraising events, concerts, church rallies and more. Download a guest list to check in attendees as they arrive. Take control of your events maximum capacity and limit the number of attendees for each of your church events. Simply add an animated event countdown for your next church event, or for a specific special event, to any page or post. Automatically redirect visitors to anywhere on the web when the countdown expires. Show your church event history without worrying about an RSVP for a past event. If an event is in-progress, you can redirect visitors from a selected page, post or event, to any external or internal link. Now you can quickly redirect your visitors to a live stream during Sunday service or an announcement during a live event. Share your message on your ChristianCMS website in a way that is simple for your users and hassle-free for you. Have a greater impact with your Calling. 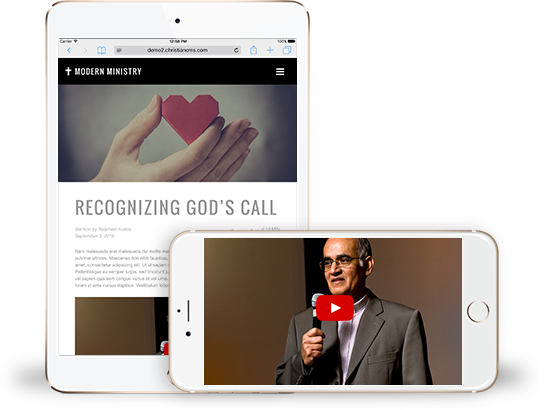 Share all your sermons on your website so your visitors can quickly find and listen to your message and hear the Word of God. Link to individual sermon pages that allow you unlimited possibilities to customize the content for each sermon. Share your sermon audio or video from supported media providers such as YouTube, Vimeo, SoundCloud and more or add custom embed codes generated by your media host. It's super easy to embed videos, images, tweets, audio, and other content into your sermon pages. When you desire feedback from your audience enable commenting and start a conversation. Create forms wherever you need them. You can integrate forms with specific pages of your site such as ministry specific forms on ministry pages, feedback on sermon pages, questions and comments about donations or fundraising, and more. ChristianCMS offers a complete ecommerce solution for selling everything from digital downloads to material goods. All the features you need for your church online store with no commissions or revenue sharing. ChristianCMS makes it all possible with a simple ecommerce solution built into your website allowing you to sell unlimited products without the need for third party storefronts like Amazon or Shopify. All without a transaction charge or revenue sharing. Your products, your orders, and your funds. Sell unlimited combinations of colors, sizes, and materials for any of your products and add unique product images to match. Then display your products in a beautiful product gallery. Sell church branded t-shirts, books, sermon CD's, and more. Sell downloadable audio, video, ebooks, and other digital media content. Choose whether users remain on the current product pages or are redirected to checkout when they add a product to their cart. Encourage shoppers to make more purchases by displaying related products. Choose how many to show, pick a list or grid, and select whether to relate products by categories or tags. Attract new shoppers and increase sales with coupon based marketing campaigns. Create detailed promotional codes offering discounts by percentage or fixed dollar amounts and restrict promotions by date range, product, customer, and more. Quickly add products into any page, post, or with sidebar widget. Customize email notifications sent to your website administrator and customers for new orders and product shipments. Ship anywhere in the world with confidence. Use USPS flat rate shipping, cater to specific distribution logistics using table or weight rates, or allow pick up at your location. Make it easy for anyone to pay you. Smooth transaction processing is essential when building trust, shopper loyalty, and increasing sales. Enable or disable guest checkout and even sell to specific countries or anyone in the world. Choose how many times a customer can download a file they have purchased. Simple tax settings make it easy to set rates, create exceptions, apply taxes to downloadable products, and tax before or after the cost of shipping. When a product isn’t available, automatically set a product to draft so it doesn’t display. Display your products as a list or grid, choose how many rows, show images or not, and make the most of the built-in image lightbox. Allow users to generate a beautiful PDF invoice instead of, or in addition to, a standard invoice email. See your orders from one screen and quickly edit payment gateway, billing address, shipping address, products purchased, applicable taxes, shipping fee, shipping method, enter a tracking number, change the status of the order, and more. 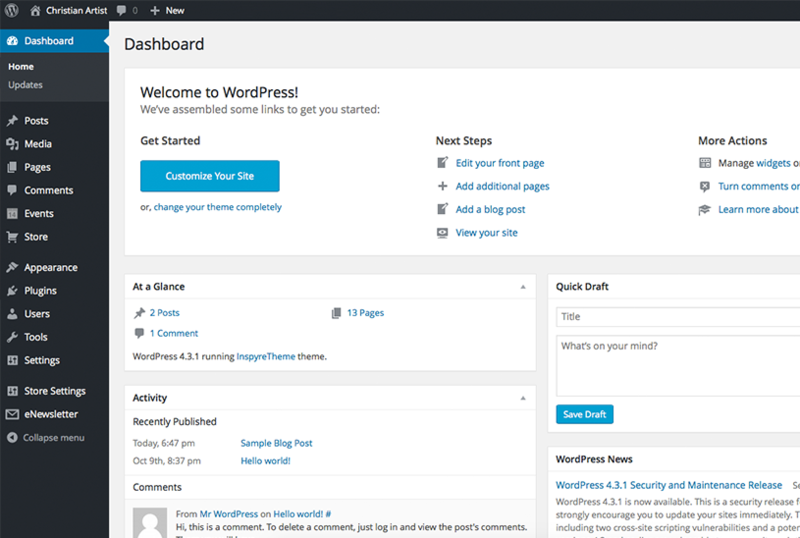 When you’re running out of any of your products, receive a WordPress dashboard when it’s time to stock up. Encourage shoppers to share your products with their friends and family with Pinterest, Facebook, and Twitter shares buttons. Quickly and easily monitor inventory and orders from your WordPress dashboard. One click access to the information you need.